Thursday, October 27th, 2016 at 4:37pm. 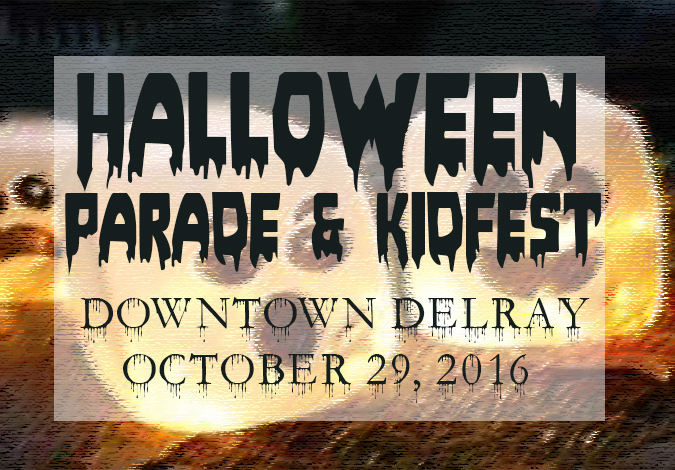 This Saturday beginning at 1pm is the beloved Halloween Parade in Delray Beach. The parade kicks off at the south east corner of Old School Square Park and travels along Atlantic Avenue through downtown. Bring out your friends, family and kids in your best Halloween costume for an amazing parade filled with decorated floats, spooky characters, live music and more. free icecream will be handed out to those who attend the Halloween Parade.